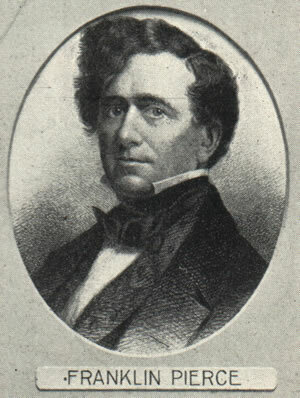 Franklin Pierce was the 14th President of the United States of America. He was elected President in 1852 and served from March 4, 1853 until March 4, 1857. He was a Democratic Party politician from New Hamphire. This page provides links to essays on Franklin Pierce, or to events during his presidency, by William P. Meyers, as well as links to external Web sites with related information.